In 1979 a couple of German Universities were looking for an excuse to meet each other more often. As all these universities had hydrodynamical knowledge, a waterbike race was organised, which still continues. Once this news, years later, reached Delft, the Student Association S.G. "William Froude" requested the start of DWT, Delft Waterbike Technology. The goal of DWT was to organise in the 9th IWR in 1988, at the 85th birthday of the association. Maritime students came to Delft to celibrate this lustrum. In 1987 DWT had made its own waterbike, the 'Pride of Delft', which would compete at the 1988 regatta. It consisted of two Hobbycat hulls, with two bikes in between. With this vessel, the 'Schelligkeitswettbewerbtrofee der Stadt Duisberg' was won, for achievements on the 1000 meter. Improvements were made, and at the '89 IWR some boats flied over the water. Experiments proved these waterbikes to be very fast and unstable. This has lead to the 'Delft Secret' project, should have been finished in '90 with help of MATSO and the Marin. The mechanical engineers designed a recumbent bike, an unusual phenomenon for the time, but it worked well on a waterbike. The epoxy constructions were still under development, however DWT managed to build the 'Flying Colors', combining these technologies. And what of a kind! The popularity of waterbikes lead to a project about waterbikes, compulsory for all the maritime students. It was perfect for recruitment. In the following years many different designs were tested, among them a SWATH and an inflatable hydrofoil waterbike. Neither of them has ever been produced. However, DWT succeeded by expanding the fleet with the 'Nederwood' in '95, the 'MacBath' in '97 and the 'Lancelet' in '99. The 'Af Chapman 2' was a gift from the Swedish waterbike team in '94. Ten years after the famous IWR in 1988, DWT organised the IWR in 1998. 'Het Delfste Hout' was occupied by students from all over Europe. It attracted media attention and sorted even more attention for waterbikes in the Netherlands. This succes continued until 2003, until there were not enough members to continue with DWT. Delft Waterbike Technology was temporarily disbanded. In 2009, after some years of inactivity, DWT was refounded by a group of enthousiastic first year students. The startup faced some tough challenges. The boats were not in race condition, there was no place to work on the boats and DWT was ‘unknown’ by Delft students. 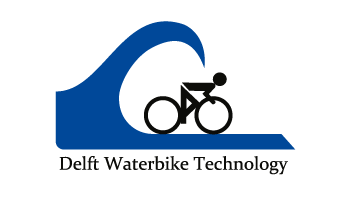 However, hard work paid off; in 2011 DWT competed in the IWR and since May 2012 Delft Waterbike Technology is a official foundation and a basis for further growth. From those years on, DWT participated in all IWRs, did projects such as repairing MacBath, Lancelet and A.F. Chapman II and is now busy with the new building project called "Delft Secret 23", of course refering to former projects!